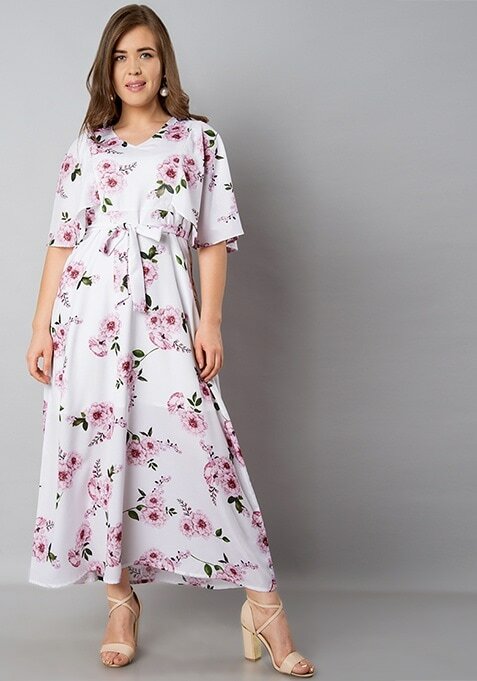 Make the summers more comfortable by wearing this trendy white and pink maxi dress. Made from georgette, this dress features floral print and it has butterfly sleeves. Work it: Style it with trendy accessories to look smart.